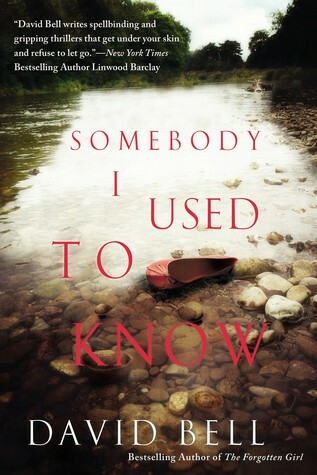 Today I'm featuring an upcoming read, Somebody I Used to Know by David Bell, borrowed from the library. When I saw the girl in the grocery store, my heart stopped. I had turned the corner into the dairy aisle, carrying a basket with just a few items in it. Cereal. Crackers. Spaghetti. Beer. I lived alone, worked a lot, and rarely cooked. I was checking a price when I almost ran into the girl. I stopped immediately and studied her in profile, her hand raised to her mouth while she examined products through the glass door of the dairy cooler. I felt like I was seeing a ghost. I saw this book on several blogs over the summer, and since I enjoy psychological thrillers, I am looking forward to reading this new-to-me author. First Chapter ~ First Paragraph #124 was originally published by Catherine for bookclublibrarian.com. This post cannot be republished without attribution. Retweeting and sharing on Google+ encouraged.